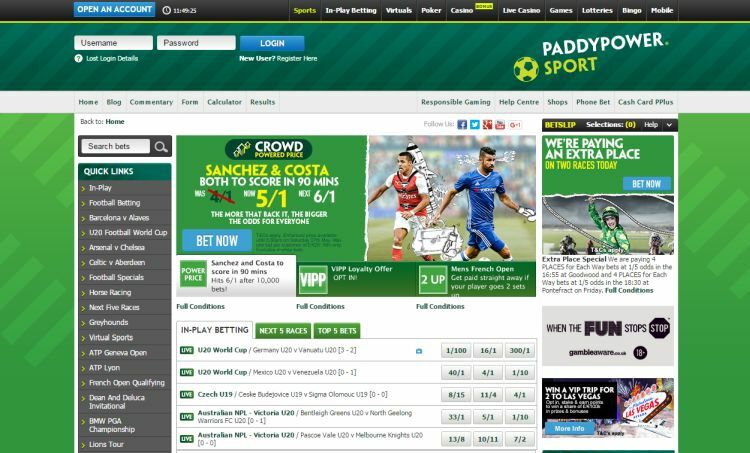 PaddyPower is one of the largest online bookmakers in the world, with currently around 10 million visits per month. It offers a very broad range of markets and features that have been very appealing to many players. For example for Darts, the markets provided are superior compared to other bookmakers. Paddy Power was founded in 1988 as a result of the merger of the 40 shops of three Irish bookmakers. They have a long history of bookmaking. PaddyPower belongs to PaddyPower Betfair plc and is a listed company in the FTSE 100 Index. It is, therefore, a 100% reliable bookmaker. Paddy Power is known for its witty and edgy media campaigns, where they often dare to go where other bookmakers draw the line. Often, their advertisements lead to public outrage, which only enforces their reputation as a bookmaker that manages to make the news headlines time and time again. Their twitter account is on a whole different level, providing its many followers with world class witty banter on a daily basis. Unfortunately, when we look at the odds, things don’t look so great. Paddy’s odds on Football are much worse than odds that you will find at (almost all) other bookmakers. If you are a rational punter or if you play ACCAs, we are hesitant to Paddy Power. A much better alternative is Betfair, that belongs to the same group, but offers significantly better odds. Paddy Power rules the game when it comes to the social and entertaining part of sports betting. If you bet low amounts and don’t play ACCAs, you will be okay with this bookmaker. But if you are more interested in winning in the long run, there are better options to be found. You can get a pretty sweet deal when you sign up at this bookmaker. 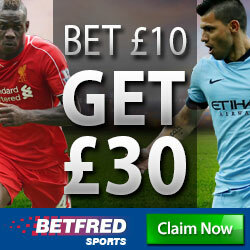 Place a £/€10 or more bet and receive £/€30 in free bets. Only deposits made using credit cards or PayPal will qualify for this promotion. Qualifying bet must be placed at odds of 1.5 or greater; this also applies for combined odds on multiples. Bets made using a free bet or bets made to trigger a free bet are not eligible for Cash Out. 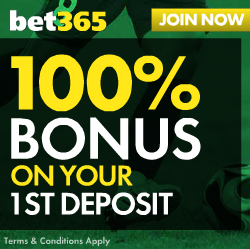 Bonus offer is available for customers from the United Kingdom, Czech Republic, Finland, Gibraltar, Guernsey, Isle of Man, Japan, Malta, New Zealand, Sweden, Norway, Switzerland, United Arab Emirates. This is an overview of the odds that Paddy Power offers on the most important markets. The odds for the Premier League have payout ratios is the 94%-95% range, but this is well below average. This is not because the odds of PaddyPower are unreasonable, but because several other bookmakers are offering their best odds with these 2 competitions, in order to target the larger public. For you, as a punter, the difference in winnings are significant over the long run. The odds for the English Championship have payout ratios of around 94% on matchday or 1-2 days before the match is played. Otherwise, these are only 91%. The odds of the English League 1 and the English League 2 are slightly lower. The odds for the larger Football competitions have payout ratios of 94%, but on match day or the day before the match starts only. Timing is essential here. The odds of the 2nd tier competitions are amongst the worst of the market. Darts: these are better than average, but still only decent at best. Rugby Union: the odds provided by Paddy Power are much better than average. Betting on matchday is very appealing. Aussie rules: the odds are around market average. The chart below provides a summary of the payout ratios we have calculated for you. These are for 1×2 bets. The payout ratios of other bets (such as Asian Handicap, Over/Under or Both Teams to Score) are provided on our PaddyPower Odds Analysis Page. The chart below provides a summary of the payout ratios we have calculated for you. These are for 1×2 bets or Home/Away bets. For more details, including a comparison with the market average, are provided on PaddyPower Odds Analysis Page. It is part of PaddyPower Betfair plc (formed in 2016) and is a listed company in the FTSE 100 Index. It is is a very well-known and popular brand. They have managed to get a lot of publicity. Paddy Power was founded in 1988 as a result of the merger of the 40 shops of three Irish bookmakers. They have a long history of bookmaking. 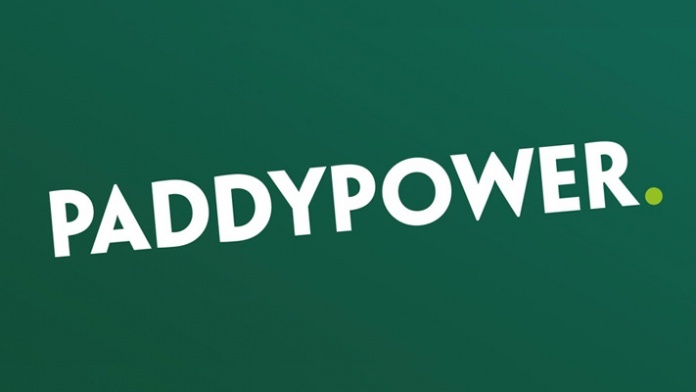 PaddyPower is a unique online bookmaker with well below average odds on the most important markets. As a result, we can not recommend this online bookmaker. We do advise you follow their social media accounts, their social media team does an amazing job of keeping PaddyPower punters both informed and amused at the same time. If you are looking for the best odds on Football, we recommend Betfair.